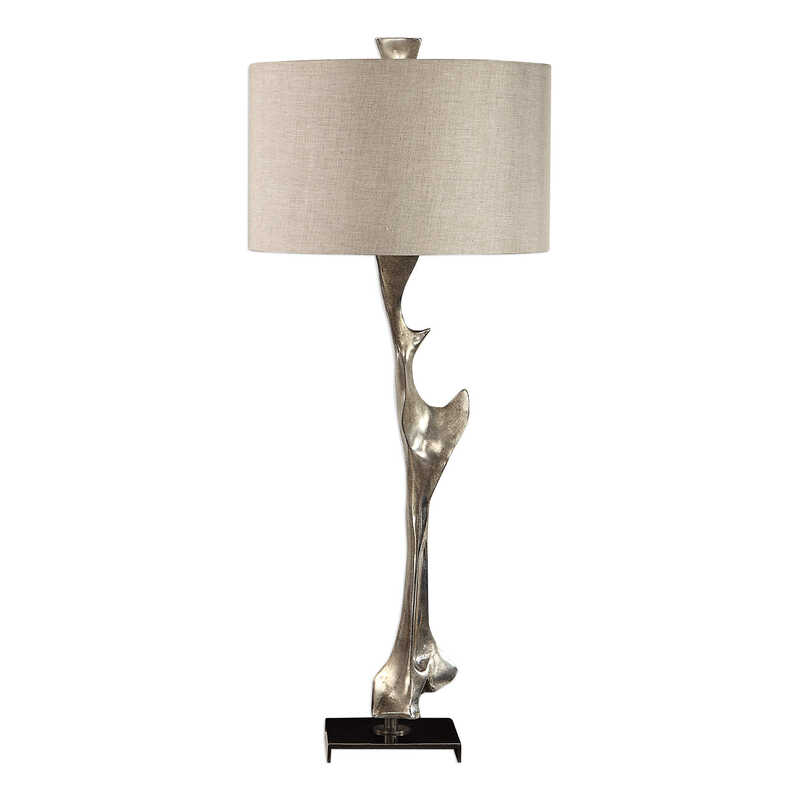 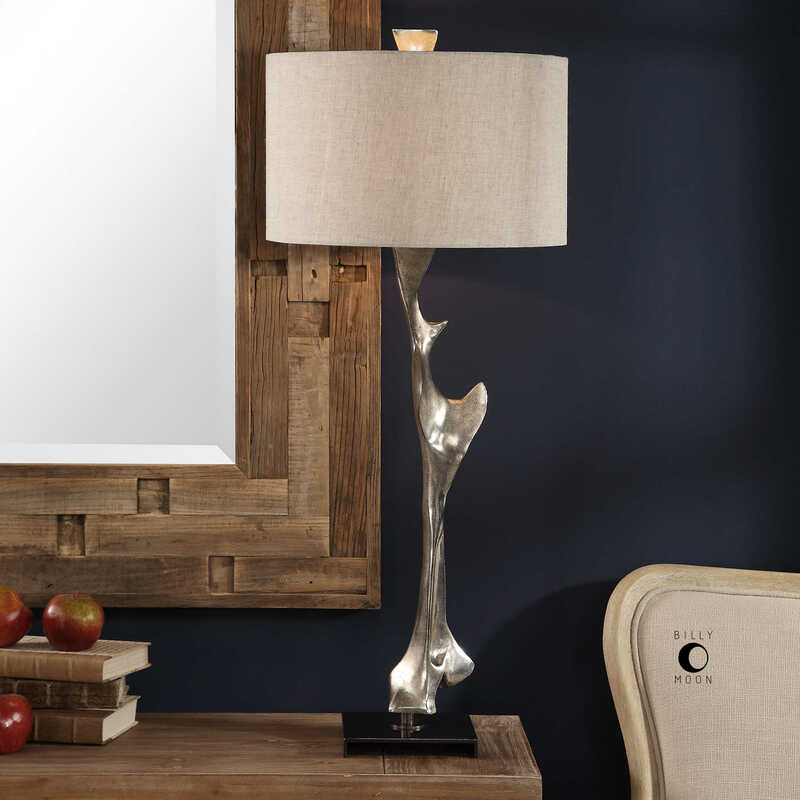 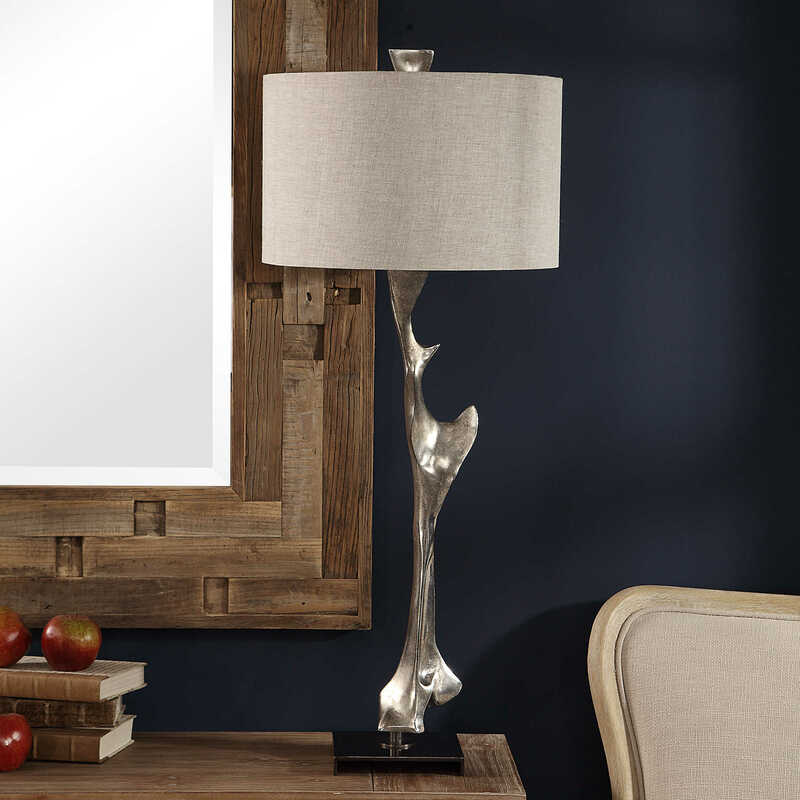 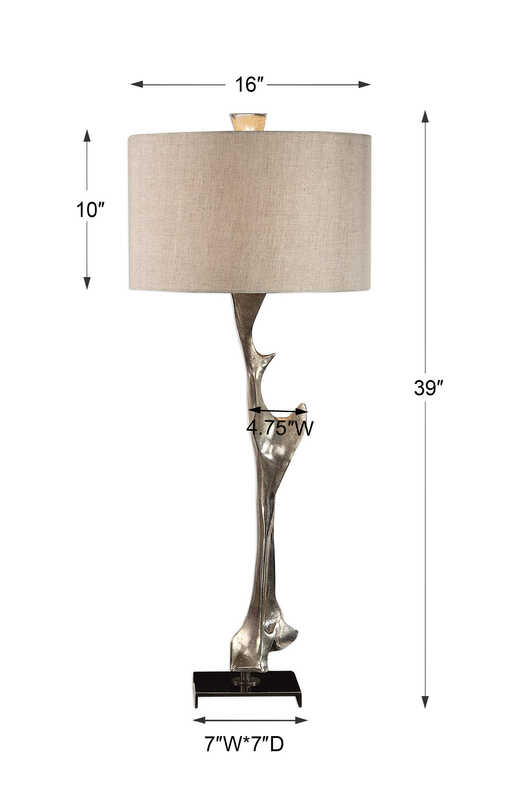 Artistic style meets functionality in this modern table lamp. 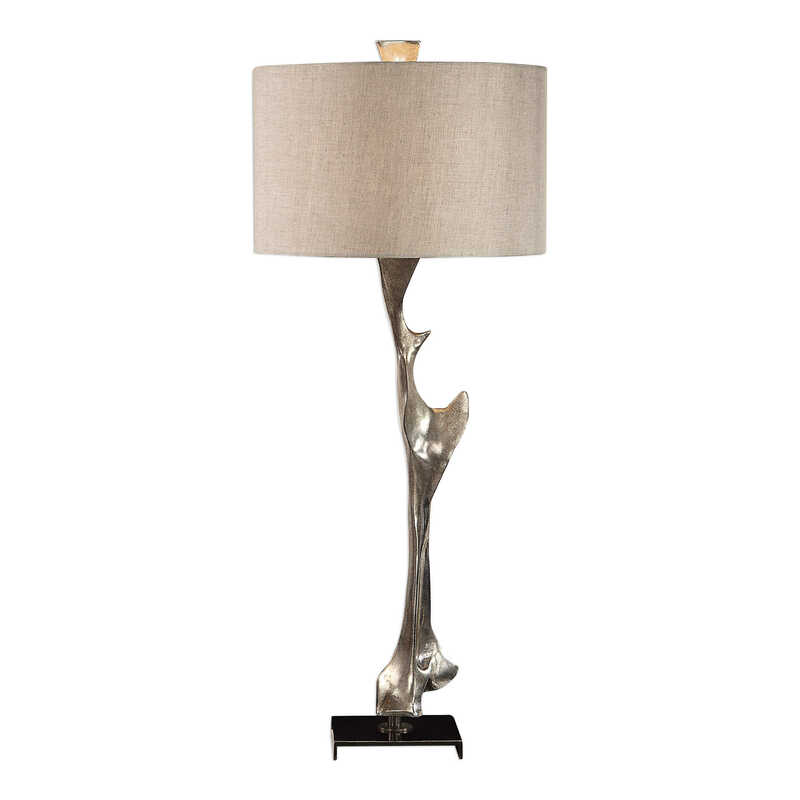 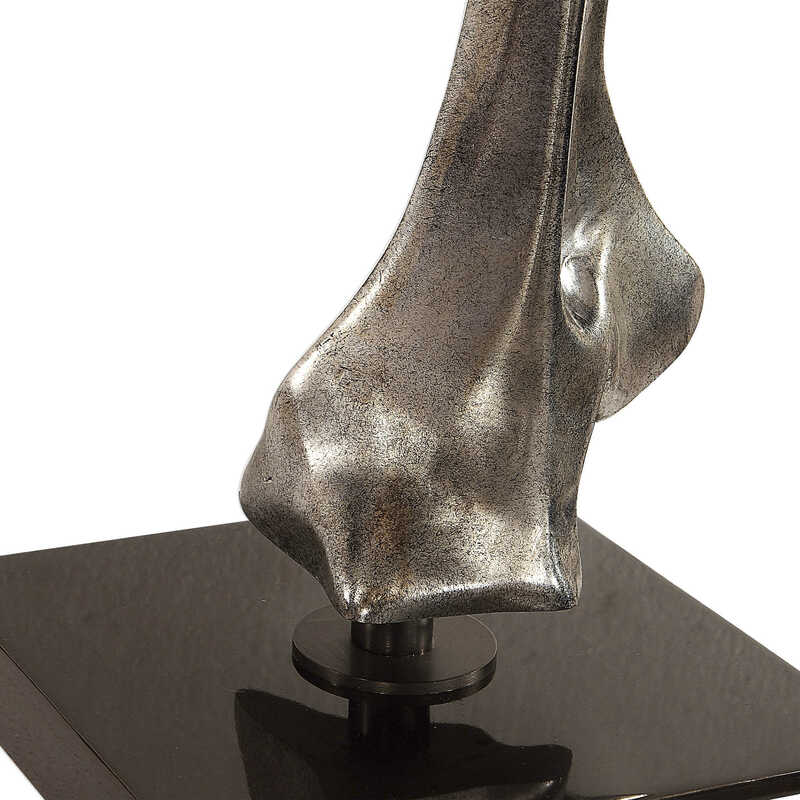 The asymmetrical, sculpture-like base has an organic feel that's finished in a heavily antiqued metallic silver, accented with black nickel plated details. 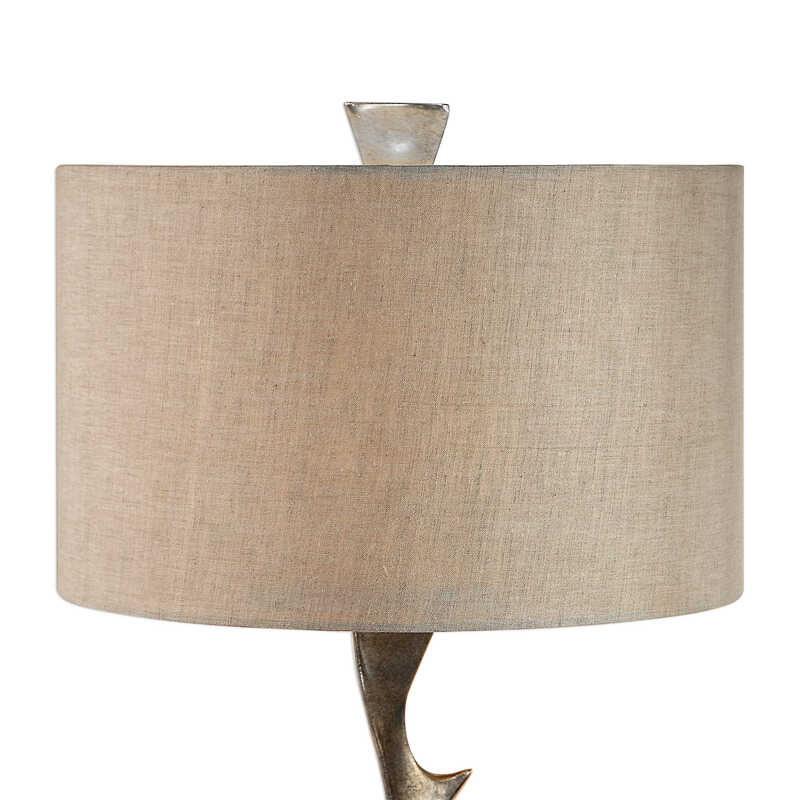 The round hardback drum shade is a light beige linen fabric with natural slubbing.